Istanbul started out as a kind of lay-over, somewhere to rest for three days while Kevin and I waited between flights to Tanzania. But a friend put us in touch with three of her friends, and they offered to show us around. It turns out that Istanbul is a pretty amazing place. We arrived in Turkey late at night, and all of the tourist information booths were closed. We were left to ourselves to figure out how to get to Istanbul, where we were staying in Fatih (which used to be Constantinople). It’s the oldest, historical part of the city, filled with little wirey roads, incredible churches and government offices. After thirty minutes of standing in a queue for a bus that may or may not have been going to Taksim, from where we would walk roughly 45 minutes to get to our Airbnb, two women who were in the line in front of us suggested that the four of us just get a taxi instead. I was fairly suspicious of the suggestion, but surprisingly it worked out. We dropped the women off at their hotel, and our taxi driver phoned the AirBnB host to figure out where we were meant to be going. He tore down some side alleys and we were there. Our Airbnb host met us as we parked, checked our taxi meter to make sure we weren’t being scammed, and brought us into the lobby of the apartment complex, where he insisted we sit down with him, drink tea, and tell him all about our day. Istanbul feels very different to any other city I’ve been in. Roads which would feel dangerous in Dublin feel full of life. At the same time, one of our friend-recommended guides described the country as dangerous, but also pointed out that everywhere we were going was safe. In fact, we almost cancelled this entire trip due to the quickly escalating political situations. I’m very glad we didn’t. Having three helpful hosts made it pretty easy for us to decide what to do each day of the trip. 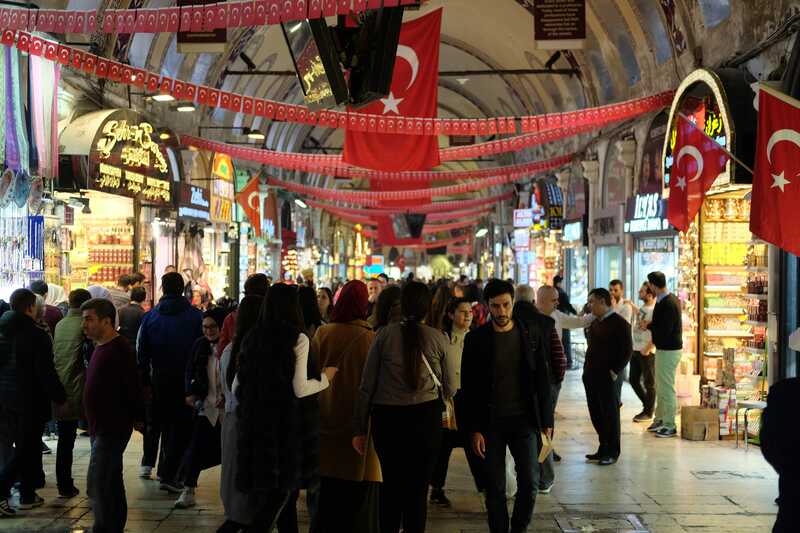 The first stop was the Grand Bazaar, a giant covered market that almost feels like a colossal network of caves, with each new turn bringing us to an entirely new type of shop. With over 4,000 stalls and shops, each type of shop was clustered into an area. 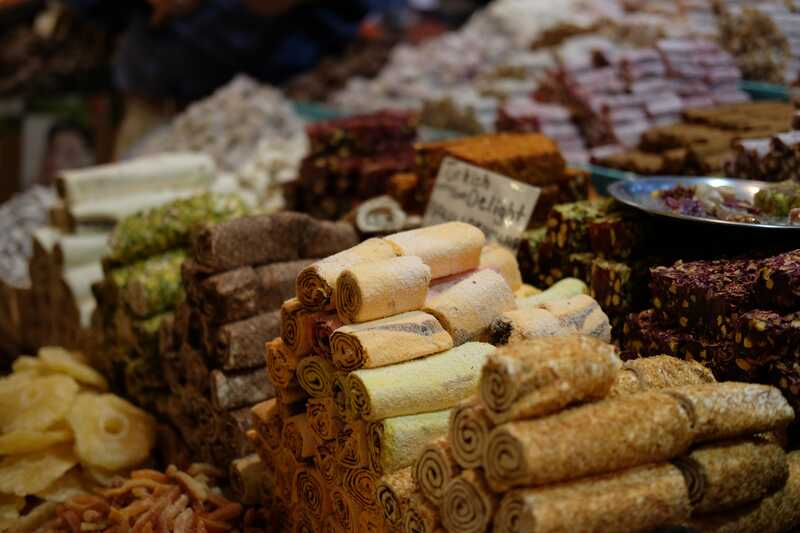 There was a bustling high-way of carpet shops, side roads of incredible stained glass hanging lights, avenues of shops that sold small gold ingots (to be gifted as wedding presents) and what felt like miles of stalls selling every type of clothes, handbags, tea and coffee, toy, and Turkish Delight. I have no idea how people don’t get completely lost here, there were several points where I thought that we were, and would never find our way out without our guides. 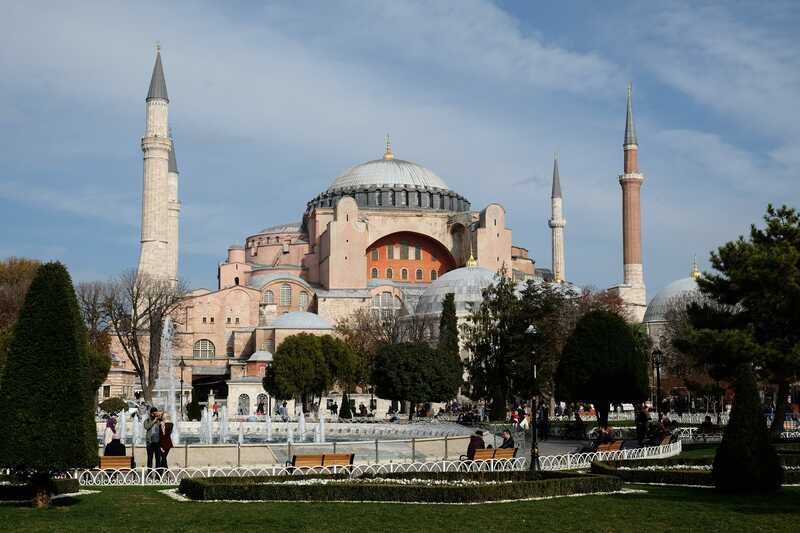 Next on our list was the Hagia Sophia, an incredibly giant basilica planted directly opposite the Blue Mosque and build in 537 AD. This was one of the less impressive wonders that we saw in Istanbul - the whole thing was under restoration so there was scaffolding *everywhere*, and our audio-guides were completely muffled to the point of uselessness. Even still, the architecture that we could see was absolutely stunning, as was the art hanging on the walls. I’m a huge fan of finding little things which help history unfold in front of you, and the Hagia Sophia was filled with these. Two things stand out to me - the first was graffiti which has been dated back to the time of the Vikings. The most well known instance of this graffiti is very easy to find when you are on the upper balcony of the basilica, and basically reads “Halfdan wuz ‘ere”. There are a few other examples dotted around, if you go hunting. The second example of being able to see history develop is in the gigantic paintings located on the balconies above the alter. The faces in the paintings were regularly covered or changed depending on who was in power at the time, or who had recently made a substantial donation to the basilica. 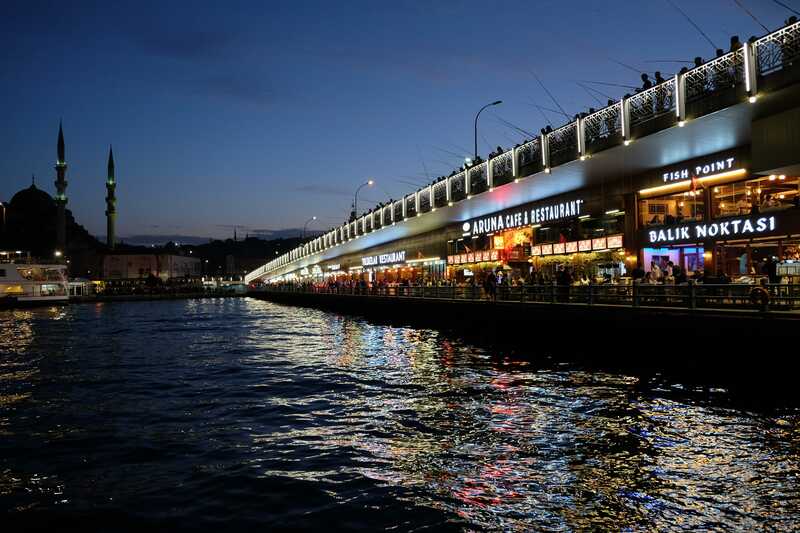 Another sight not to be missed in Istanbul is the Galata bridge. Swarming with tourists, scam artists, shoe-shiners and men out fishing for their supper, it has to be one of the most amazing sights of the city, as the sun sets. We visited several times during our holiday, to see how the local life changed throughout the day. We never got around to eating in any of the restaurants under it, but that seems like it would be an experience in itself! On our last day in Istanbul we knew that we had to pack in a whole lot. There were two stand-outs from the day. We visited the Blue Mosque (officially called the Sultan Ahmed Mosque) early in the morning, and got there a few minutes before the crowds (although people who have visited before tell me that my photos of the ‘crowds’ show a vastly decreased number of visitors in recent years). The courtyard is pretty incredible, and once you are past security you can get a pretty great view of the building. 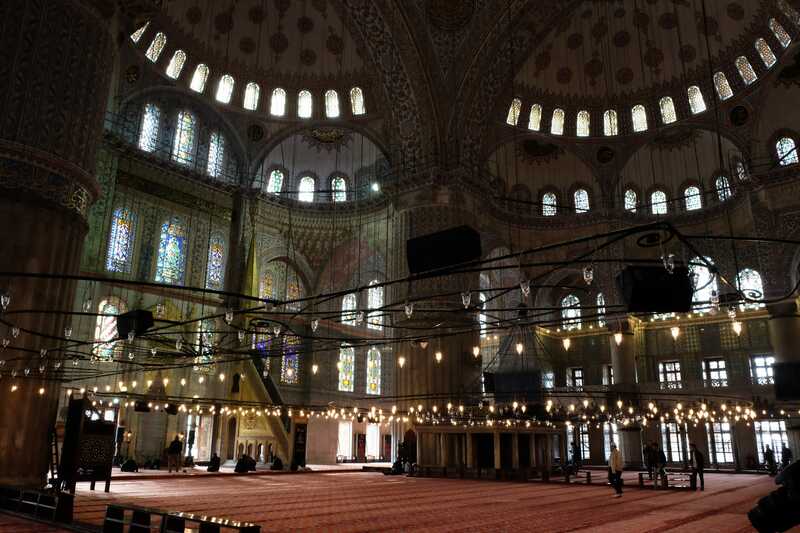 Access is restricted for non-worshippers, but there is still a lot to see and learn. I’d recommend visiting as early as you can in the morning so that you don’t have to contend with the hordes of people taking selfies, talking loudly, and complaining about having to take their shoes off. 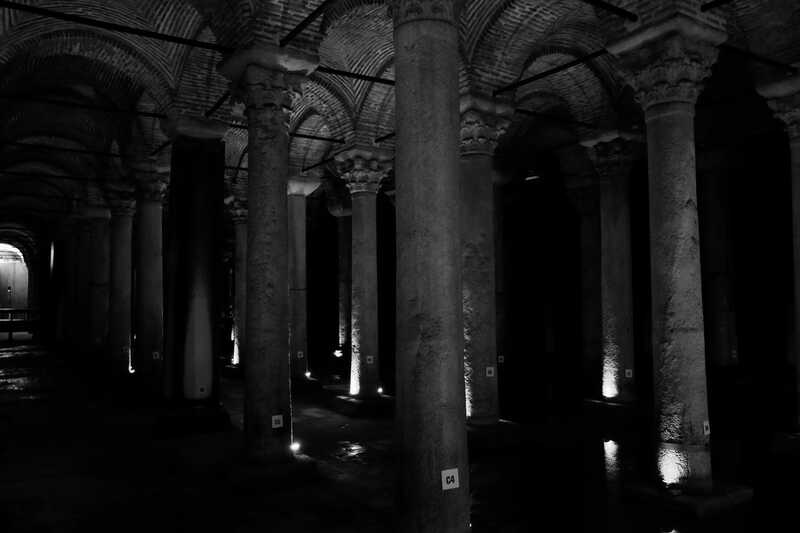 After a quick lunch we went to the Basilica Cistern, the biggest of the cisterns under Istanbul. It’s roughly 140 metres by 65 metres, although not all of it was open to the public when we were there. The roof is held up by 336 giant marble columns, some of which have pretty cool features - one, for instance, has water running down it and is engraved with tears - said to be in memory of the slaves who died while building the cistern. The guidebook was tightlipped about how this effect was achieved. Much of the material was recycled from Roman temples, and at the back of the cistern are a pair of huge Medusa heads, turned on their sides. 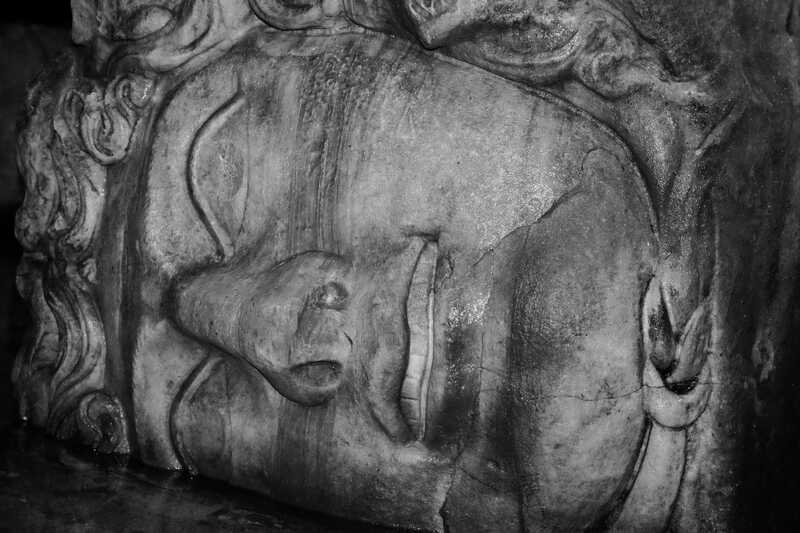 The records of where these came from have been lost, which has created spooky legends of the Cistern Medusa Heads. Some experts suggest that they weren’t used the correct way up, to follow the early Christian practice of reusing Pagan statues upside down to make a statement. 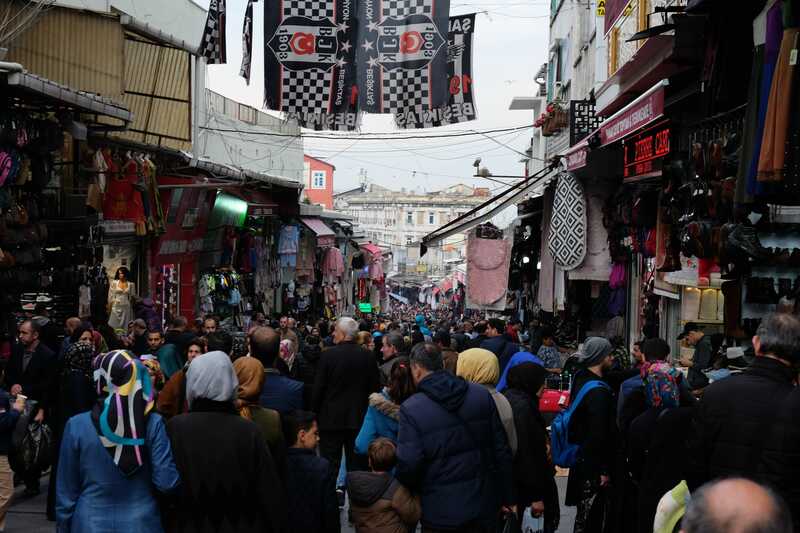 In the run-up to the trip, when I told people that I was going to be spending a few days walking around Istanbul, a few of my friends and family expressed concern. I have two family members who were close to the scenes of terrorist attacks in the city, and the current government is a little bit dictatorshipy, to say the least. 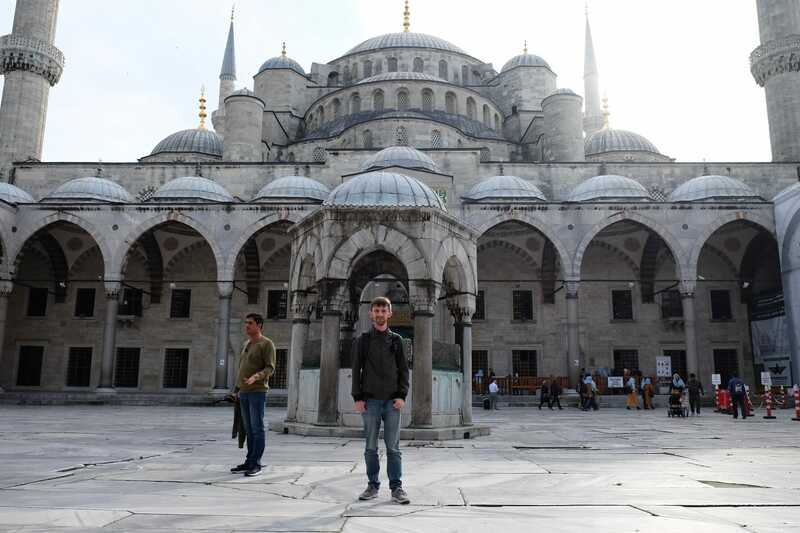 But on weighing the pros and cons, and being careful while we visited (along with the wonderful guidance of our new friends), we had a wonderful time and I’d definitely recommend a few days in Istanbul for anybody who likes traveling. As with any mildly risky travel, be sure to check with your insurance company and department of foreign affairs to ensure that you’ll be OK if anything happens. 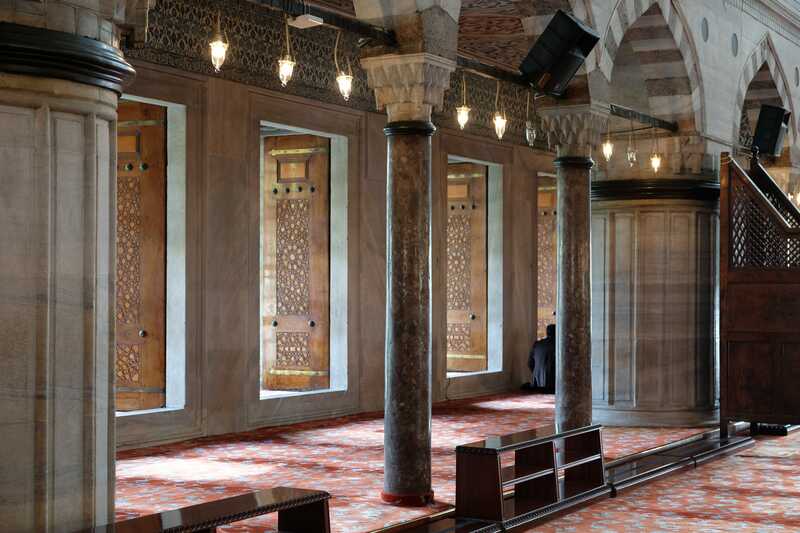 Enjoy my recommendations for Istanbul? There's lots more where that came from!